Although the seventh day is a Sabbath to the LORD, a day of sacred assembly and of rest, the disciples had to wait in Jerusalem ten days for the Holy Spirit. 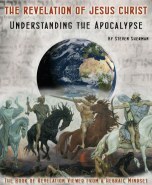 With the many commandments and regulations focusing on the number seven, I sought to find out why there were ten days between the ascension of the glorified Mashiach (Messiah/Christ) into heaven and the empowerment of the church by the outpouring of the Holy Spirit at Pentecost (Shavuot/Feast of Weeks). The LORD commanded all of Israel to observe the seventh day of the week as a Sabbath day. The LORD also issued a command for the entire nation of Israel to observe annually the Feast of Weeks by counting seven full weeks. Even the land was to have a sabbath of rest. Not only was the seventh day and the seventh week commemorated, but in the seventh year the land was to lie fallow. "Count off seven sabbaths of years-seven times seven years-so that the seven sabbaths of years amount to a period of forty-nine years. Then have the trumpet sounded everywhere on the tenth day of the seventh month; on the Day of Atonement sound the trumpet throughout your land. The biblical regulations concerning counting by sevens extended to the counting of seven times seven years totaling forty-nine years. Then in the fiftieth year, liberty was proclaimed throughout the land to all its inhabitants during the year of Jubilee. Moses was commanded by the LORD to consecrate Aaron and his sons. The consecration of the priests and the mishkan (tabernacle) lasted seven days (Lev 8:33-35). Other important seven day life cycle events were: Yaacov's (Jacob's ) marriage (Gen 29:27), Yoseph's (Joseph's) mourning over the death of his father Yaacov (Gen 50:10), a seven day period after birth before the circumcision of a newborn on the 8th day (Gen 17:12, Lev 12:2-3), and the seven day period before taking the young animal from its mother to be slaughtered as a sacrificial offering (Ex 22:29). The number seven also has significance in relation to the fall cycle of biblical festivals. After the first three spring months on the Hebrew calendar, there are no commanded festivals during the summer months. But during the seventh month, all three fall festivals - The Feast of Trumpets, The Day of Atonement and The Feast of Tabernacles - are celebrated. All four Gospels record that Yeshua (Jesus) resurrected on the first day of the week. This day after the Sabbath of the Passover week, was the day that the Feast of Firstfruits was celebrated. The LORD said to Moses, "Speak to the Israelites and say to them: 'When you enter the land I am going to give you and you reap its harvest, bring to the priest a sheaf of the first grain you harvest. He is to wave the sheaf before the LORD so it will be accepted on your behalf; the priest is to wave it on the day after the Sabbath. For as in Adam all die, so in Christ all will be made alive. But each in his own turn: Christ, the firstfruits; then, when he comes, those who belong to him. Christ the Firstfruits of the resurrection, resurrected on the Feast of Firstfruits. The day of the Messiah's resurrection also coincided with the start of the count of seven weeks and one day (49 days + 1 day = 50 days), to the celebration of the Feast of Weeks which is also known as Pentecost (Greek for the 50th day). In my former book, Theophilus, I wrote about all that Jesus began to do and to teach until the day he was taken up to heaven, after giving instructions through the Holy Spirit to the apostles he had chosen. After his suffering, he showed himself to these men and gave many convincing proofs that he was alive. He appeared to them over a period of forty days and spoke about the kingdom of God. Luke, who wrote the Gospel according to Luke, also was the author of the Book of Acts. He wrote to Theophilus (lover of God) that Jesus walked in resurrection power for forty days until He was taken up into heaven. Jesus ascended into heaven ten days before Pentecost (50th day - 40 days = 10 days). On one occasion, while he was eating with them, he gave them this command: "Do not leave Jerusalem, but wait for the gift my Father promised, which you have heard me speak about. For John baptized with water, but in a few days you will be baptized with the Holy Spirit." Three times a year all the men were to appear before the Sovereign LORD, at the Passover, at the Feast of Weeks and for the Feast of Tabernacles. Although most men of Israel returned to their fields or flocks after the Passover and did not return to the temple in Jerusalem until fifty days later, the disciples were commanded by the Lord to remain and wait for the gift of the Holy Spirit. Although every regulation concerning the Festivals of the LORD is associated with periods of seven days, there was a ten day period between the time that “Jesus the firstfruits of the resurrection” being taken up into the clouds and the outpouring from heaven of the Holy Spirit. Just as Messiah Jesus fulfilled the spring cycle of biblical festivals in the First Advent: Redemption (the Passover), Sanctification (The Feast of Unleavened Bread), Resurrection (Firstfruits) and the birth of the Church (Pentecost), He will fulfill the fall cycle of biblical festivals in His Second Coming. The Messiah being taken up into heaven as the Firstfruits of the resurrection is a foreshadowing of the rapture of the church. The Holy Spirit coming down from heaven to eternally indwell the church, is a foreshadowing of Emmanuel's (God with us), return to earth to eternally dwell with His people. The ten days starting with the Feast of Trumpets and ending with Yom Kippur (the Day of Atonement), are commonly known as the Days of Awe (Yamim Noraim) or the Days of Repentance. For the unsaved Jew, this is a time for serious introspection, a time to consider the sins of the previous year and repent before Yom Kippur. At that time they will see the Son of Man coming in a cloud with power and great glory. When these things begin to take place, stand up and lift up your heads, because your redemption is drawing near." On the Feast of Trumpets, just as Christ was taken up into the clouds, the church will be raptured. Ten days later on the Day of Atonement, just as the Holy Spirit came down on Pentecost, so shall Christ return with His glorified saints to rescue Israel and establish His throne in Zion. THE LAST DAYS CALENDAR: Understanding God's Appointed Times.